You are here: Home / Blog / Homeschooling Styles / Are You a Type B Homeschooler? I don’t particularly love labels—they can be too general or cause assumptions and are likely not 100% accurate. That said, labels can be helpful when you’re searching for information on various topics. 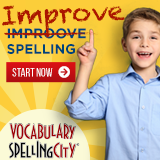 Google is better when you’re using key words, which is how I heard of Type B Homeschooling a few years ago. A good old Google search brought me to a few articles, which I read and breathed a sigh of relief. I felt like I discovered a secret society of homeschoolers. Fast forward to this past summer, when a good friend and I were chatting, and we both realized we were talking about the same thing. Type B Homeschooling. 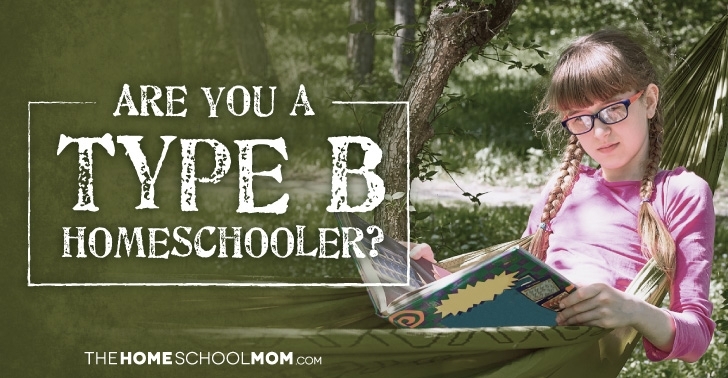 What is Type B Homeschooling? If you’re wondering what defines a Type B homeschool, I’ll let you in on a little secret. There is no exact definition. It’s more of a feeling. Maybe a philosophy. A philoso-feeling if you will. Type B homeschooling isn’t reserved for one type of educational method. You could be a Charlotte Mason homeschooler. You could be a Classical homeschooler. You could be an Eclectic homeschooler. You could be an Unschooler. But, you’re probably NOT a traditional school-at-home-schooler running around with a checklist and a rigid schedule. Type B homeschooling is fluid. It is not routine driven, per se, but guided by natural rhythms of the home or family schedule and interests. Connection, intentional choices, rabbit holes, dashes of unschooling, structured learning where needed, interest-led, spontaneous and planned activities sometimes in the same week. You might be hiding your Type B-ness because you’re inundated with messages that homeschooling can only be successful if you replicate school at home, or if you stay on an exact schedule every single day and you have to do all the subjects every year from now until graduation or your children will not be successful. Perhaps you’ve been told that unless you plan out your entire year by July 1st, your homeschool will fail. Worse, you start to question yourself, your methods, and your love of homeschooling. It’s high time we throw open the doors and stand in our Type B homeschool glory. To give ourselves grace and permission to lean in to our personalities, our strengths, our children’s needs and what works for our families. Awesome. Because there is a community out here of fellow Type B homeschooling parents and we are cheering you on and high-fiving you! Let’s do this! If you’re curious about what our Type B homeschool looks like right now with three middle schoolers, you can read “Middle School Mania: How We Are Transitioning to Homeschooling Middle School,” where I’ve listed my favorite resources for this age. Sit with the idea of Type B homeschooling idea for a bit. Does it resonate with you? Does the light bulb turn on and now everything seems bright? Does it give you all the feels to know you don’t need a super long checklist or an exact schedule every day? If so, then celebrate. You are rocking read-aloud time during breakfast. Kids in pjs, candles lit, hot tea. It’s 10am? Great! Connections are happening. Illness has swept through the house and any semblance of rhythm is gone. You embrace the down time, put the workbooks and projects away, and savor the movie-watching, soup slurping, blanket-covered cuddles—knowing that everyone will get better soon and life will be there waiting. You have older kids with jobs, outside classes, homework, and various sleep schedules. The sweet morning routine you had when they were little isn’t cutting it. You adjust. You allow for growth. You find new ways of connecting. You embrace this new season without clinging to ways that just don’t fit anymore. You have a flock of littles who need diapers, bottles, multiple feedings and others who want to do science experiments, write their numbers and are learning to read. So, you make mornings for outside time, field trips, and errands so you can tire out the toddlers and then spend nap time working in peace with the older kids. You make your day work even if it means school in the afternoon, weekends or evenings. It all counts. You do what Julie Bogart of Brave Writer calls “plan from behind.” I used to get so discouraged by all the pre-planning I would do. I would write down every last detail of what we HAD to do on certain days. If we strayed from the plan, I felt awful. 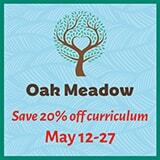 I made my kids crazy and it zapped by homeschooling energy. Two years ago, I flipped it around. I started writing down all things that we DID do over the course of a day. I have filled up a few notebooks with all of the amazing projects, fieldtrips, documentaries, and classes my kids have completed. It’s like a homeschool diary of sorts. I love it! This is a great article from Brave Writer. TheHomeSchoolMom’s planner download has an unschooling record-keeper that is great for this kind of documentation. Whatever your days look like, you can be confident that you’re doing your best. Do we all have things we’d like to change about our homeschools? Of course. Pick one area that lends itself to more structure. Ask a friend for help. Ask your kids for input. Try things out for a week or a month. Embrace what works and stop doing what doesn’t work. You are not obligated to do your days like anyone else or FOR anyone else but you and your family. Some of my dearest friends are Type A homeschoolers. We swap ideas and share stories and encourage each other like nobody’s business. No judgement, just love. So, while you might thoroughly embrace your Type B-ness, don’t turn away from your friends or homeschooling ideas that look more Type A to you. Just take what you like and leave the rest. You might also be surprise when your Type A friend comes to you for advice. Be open about it, share your ideas and out-of-the-box methods. Inspire her! This is the beauty of connection and friendship with other homeschooling parents. I love resources! I love gathering ideas, listening to podcasts, finding cool projects, methods and inspiration from a wide-array of people and companies. Layers of Learning: We are using this curriculum now, and while it has lots of structure, I am tweaking it to work for my kids and our Type B homeschooling ways. Thank you, Melanie. I am so glad this resonated with you. Sounds like you’re doing an amazing job of homeschooling in a way that works best for your family! I love this! I normally don’t like labels either, but this describes me! I have tried Charlotte Mason, classical, and unschooling, and none of them fit exactly. Now we are eclectic. But I use parts of each of these to homeschool my kids in the way that is best for us. I have never heard this put together so succinctly before. Thank you so much!